The sand infused, rock encrusted terrain with its unique rock formations and orange color beauty provides an absolutely stunning Southern Utah ATV or UTV tour. 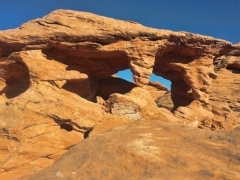 Located behind Sand Hollow State Park, near St. George. From loose sand to petrified sandstone this trail will satisfy the rugged ATV or UTV tour you crave. Chance to see Horney toad lizards, rabbits, roadrunners, quail, snakes, and much much more! 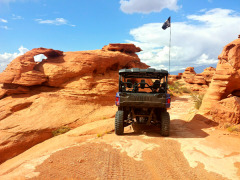 This trail is perfect during the spring and fall and highly recommended during the monsoon season. This is a rain friendly tour! 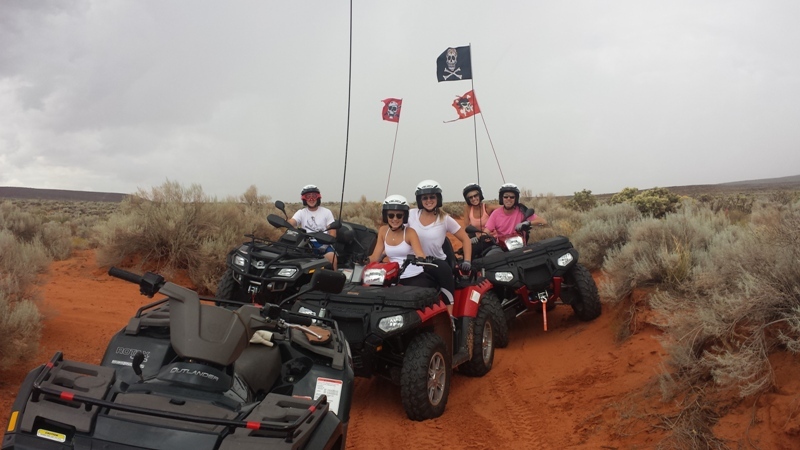 Sturdy footwear and long pants MANDATORY on all ATV tours (no yoga pants). 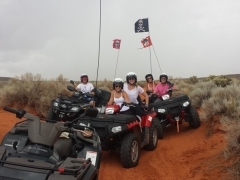 What sets us apart from other companies is we focus on families and small groups providing personalized tour experiences. 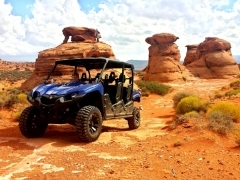 If this is important to you give us a call and book your tour; we will give you one of the best ATV or UTV tours around! 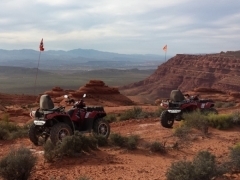 For ATV tours, prior riding experience recommended, but not required. 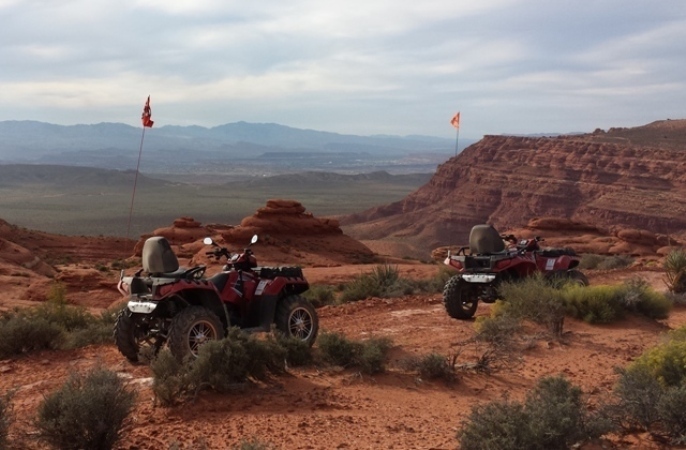 We meet at Lonny Boys BBQ located in Hurricane, Utah for this Southern Utah ATV tour. 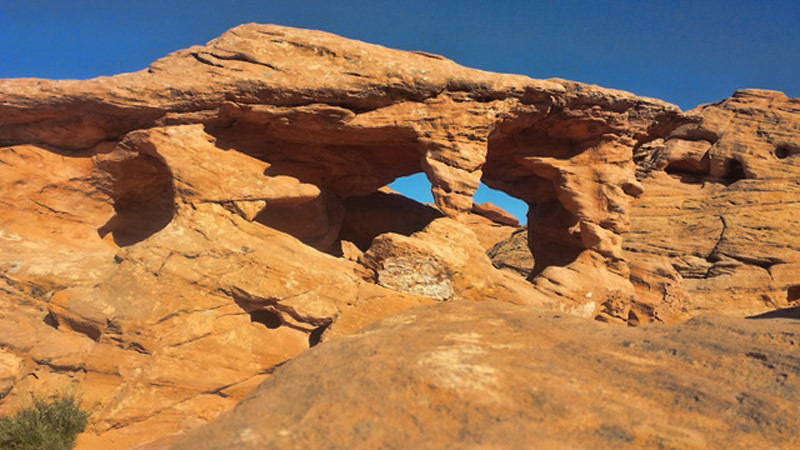 Road Surface consists of sand whoops, rock outcroppings, and loose rock. This is a dedicated ATV, UTV trail. 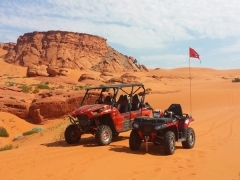 *This Moderate difficulty rating is based on one’s ability to quickly learn and adapt to properly control an ATV, UTV in a safe manner while off-road.